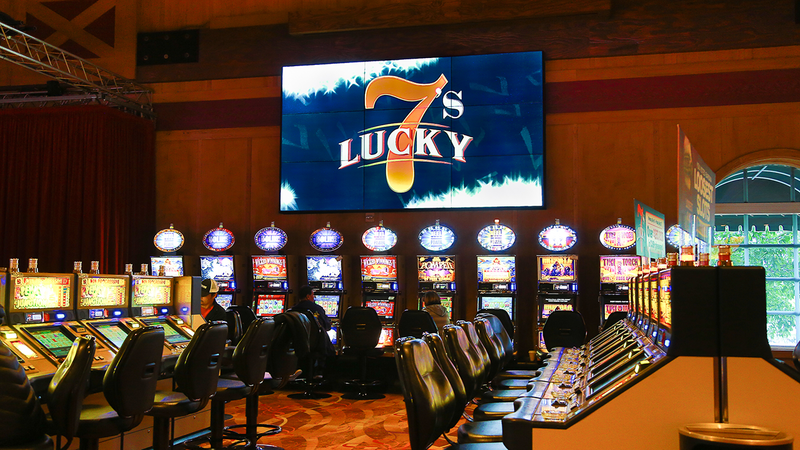 Located in Lakeside, northeastern San Diego County in California, Barona Resort Casino has the certified loosest video poker, Blackjack and Roulette in all of San Diego providing you with more chances to hit the jackpot. 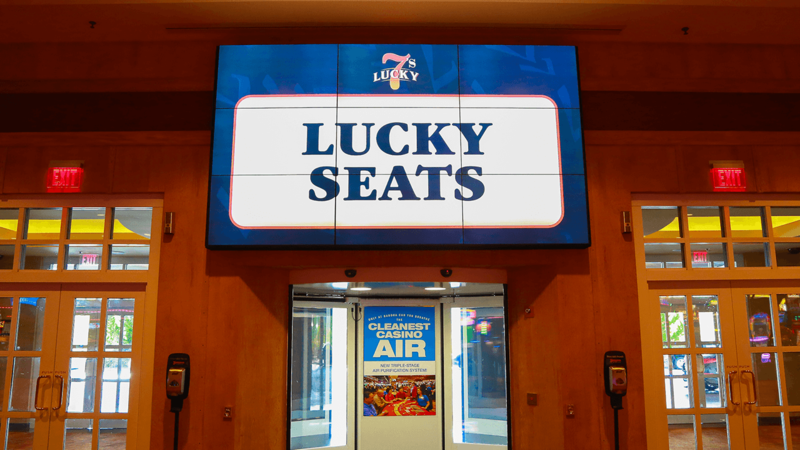 There are 2,000 slot machines and more than 80 table games to choose from ensuring that there will never be a dull moment as you try your luck at each station. 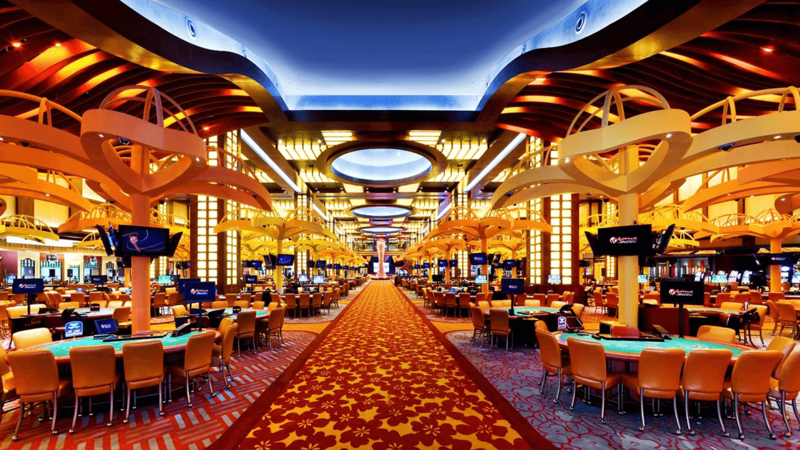 Challenge: The Casino was looking to communicate promotional messaging for their “Players Club” rewards programs to patrons of the facility in a bold and vibrate way through out the facility. The use of ultra thin-bezel professional 24/7 runtime monitors arrayed into a multiple, visually stunning Video Walls was an intelligent design choice to solve this challenge. 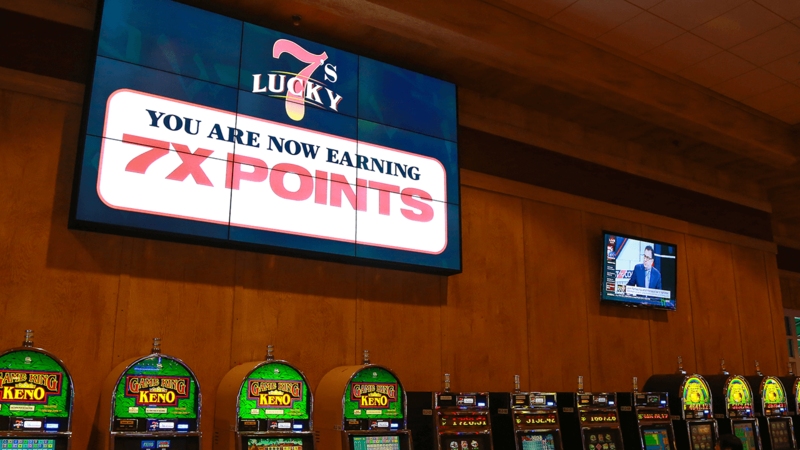 Solution: Multiple NEC 55″ & 46″ ultra thin bezel Video Wall displays arranged in a 3 wide by 3 tall (3×3) configuration through out the casino for digital signage purposes.